Is Hardwood Floor On Stairs A Good Option? 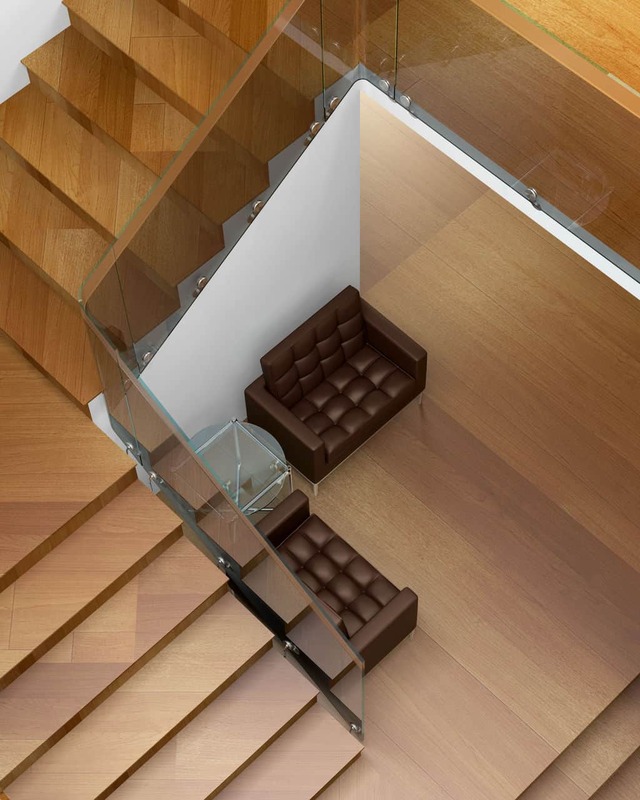 When it comes to your stairs, you may have never considered the idea of using hardwood as opposed to carpet. The idea of having hardwood floor stairs might sound bad because of potential slipping, etc. But you might be surprised by how many benefits there are to have hardwood floor stairs as opposed to carpet stairs. 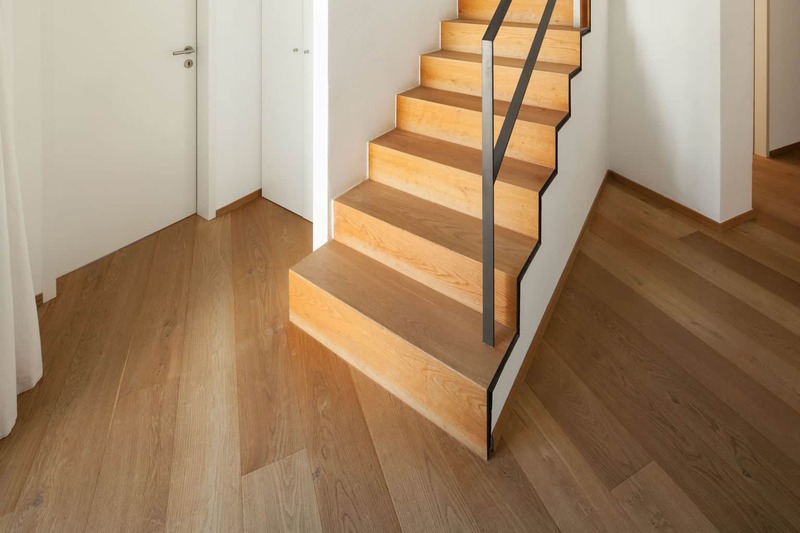 It is not only a good idea to have hardwood stairs, it is a great idea! Why not give your home that little extra touch that makes it stand out from everyone else. If you’re interested, I suggest going through the list I have compiled on all the reasons to get hardwood floor stairs. 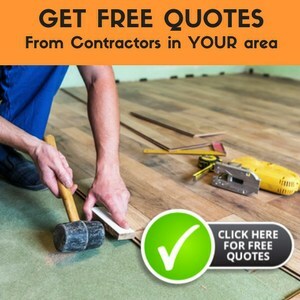 RELATED READING: Check out our article about the best kinds of hardwood flooring, including reviews, comparisons and buyer's guide! 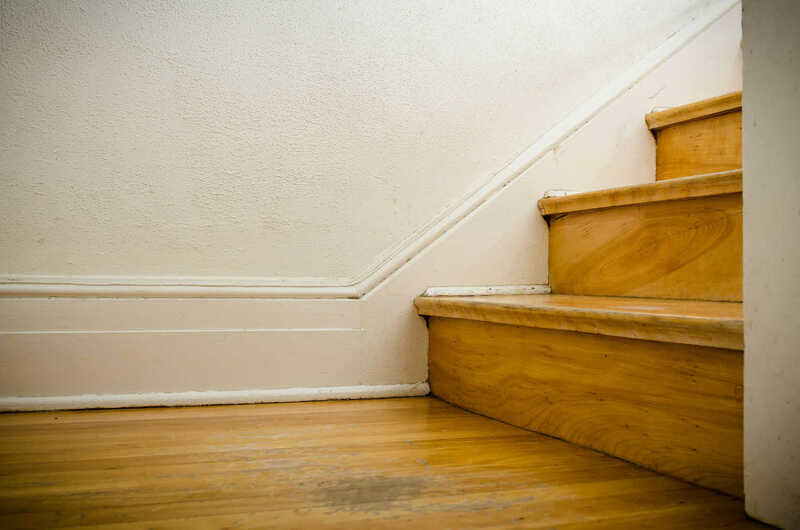 What's So Good About Hardwood On Stairs? 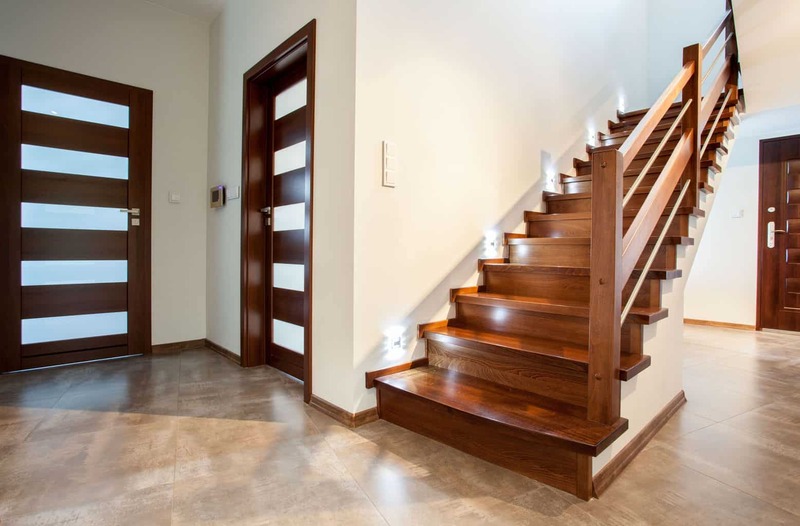 It is not uncommon for the stairs to be one of the first things your guests will see when they enter your house, so why not give them a great first impression? Hardwood floor stairs will stand out to your guests and catch their eye, something that you always want your guests to be noticing when they come. On a similar note, if you are planning on selling your house in the future, choosing hardwood floor stairs may help its value. Why not make a bit more money for your good taste and great choices. No matter what type of home you have, whether modern, chic, county, or vintage, hardwood goes with anything. It goes with any style, any color scheme, any home. Compared to your other options, wood tends to be much more durable and long lasting, making it an excellent choice in regards to your budget. It also doesn’t appear as dirty as carpets can sometimes look after so many years. In reality, your hardwood floor stairs could last forever as they are incredibly easy to touch up and repair. Doctors will tell you to get hardwood floor stairs if you have any allergies or you need something that is hypoallergenic because it is fairly common for carpet to aggravate those with allergies and they likely aren’t hypoallergenic. Hardwood, unlike carpet, will not have the issue of trapping things like dust or dander, causing irritation to you or your family’s allergies. Keeping you and your family healthy is always a primary concern in your home. In today’s world, everyone is concerned about being eco-friendly. So, rest assured that choosing hardwood floor stairs would mean choosing a natural substance that is friendly towards the environment. Oftentimes, carpets that have just been installed have the potential of emitting harmful chemicals for roughly a year. Using hardwood could also mean choosing reclaimed wood, adding a whole new level to eco-friendly. Sometimes, staircases with carpeting can be pretty challenging to try and keep clean. Who wants to lug a vacuum up and down the stairs to clean them? Cleaning hardwood floor stairs is much simpler as they only need a basic floor cleaner for wood and to be swept every day. It also helps that wood doesn’t tend to look as dirty as it might be, meaning your stairs will look clean even if they might not be. If you have to choose what type of hardwood stair floor to get, you have a wide array of options. Not only are there different options in terms of the type of wood, but you can choose what construction type you want, what type of texture, etc. You are ensured a wood that will match with whatever type of style you have. The added bonus is that even once you have chosen your wood, you can choose a finish or stain to make it any color you could possibly want. This is great because it gives you flexibility. If you decide to redecorate every few years, you don’t have to completely remove the stair boards, you merely have to refinish or re-stain them. This versatility also gives you the option of adding some decorative rugs to the room, without conflicting with the staircase. I hope this article has eased the difficulty of this decision, if even just a bit. Other types of staircases surely have their place in homes, but it is hard to ignore the incredible benefits of having a hardwood staircase. I encourage you to dig deeper and determine the type of staircase that is the best option for you and your family.